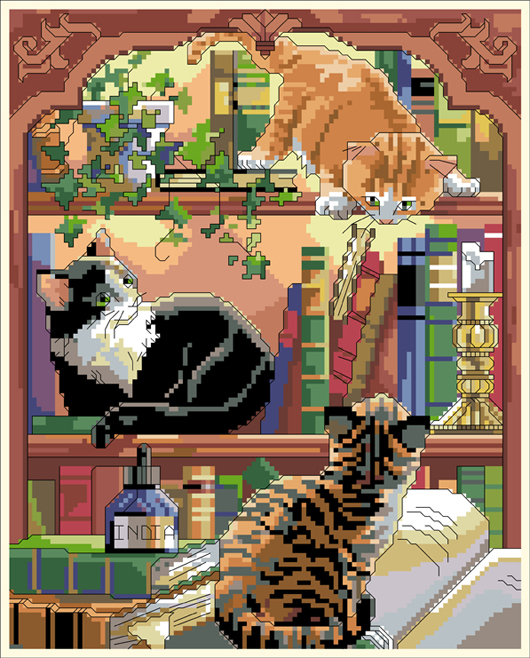 PDF DOWNLOAD - In purr-fect harmony, our trio of cunning and curious kitties find a most 'novel' place to play. An escapade filled with fun and delight design by Nancy Rossi. Contents: Project size 112 stitches wide by 140 stitches high. If stitched in 14 count, finished size would be 8" wide by 10" high.